The Winter 2005 quarterly members newsletter of the Gateway Division NMRA, The RPO, is now available online in PDF (Adobe Acrobat) format. 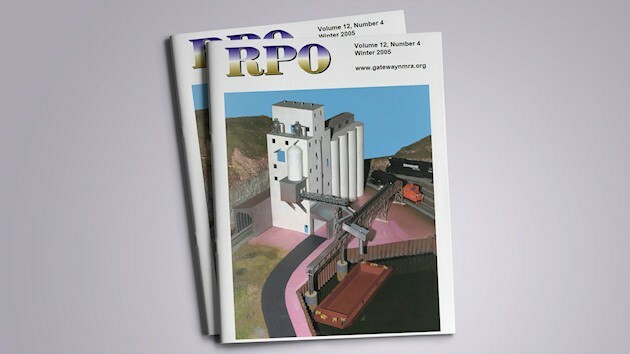 The RPO, Vol 12, No 4, Winter 2005 (pdf 2.2MB). This 20-page issue includes the “Superintendent’s Desk” by Mike Thomas, “Gateway Central XI” by Mike Thomas, “33,000 Attend World’s Greatest Hobby on Tour in St. Louis” by Venita Lake, “Building the Gateway (Riverport) Central XII” by Richard Schumacher, “Gateway Divison 2004 Fall Meet & Contests” by Dave Lotz, “Custom Decals” by Richard Schumacher, “Division Minutes” by Bob Boedges, and cover photo by Richard Schumacher. Edited by Richard Schumacher.